Omigosh my head is swimming… I need to process this info for awhile! There are so many different types of “blue eyes”. From dark blue to light sky blue. The darker blue eyes seem to be associated with horses that appear and test positive for tobiano; and do not test positive for LWO, Splash, or Sabino. Tobiano plus another pinto gene are more likely to have medium blue eyes or a single blue / brown eye. The lightest blue eyes are associated with the dilution gene and seen on cremellos, palominos, etc. I am curious which “Blue” color these tobiano horses have? Unfortunately the ones that I have seen have not been in person. 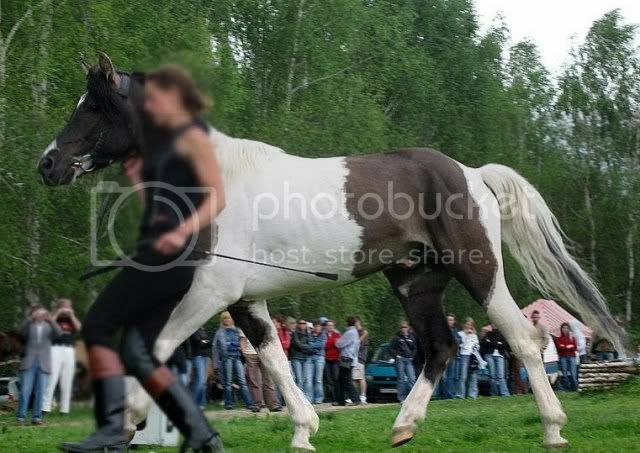 I find eye color to be one of those things where shade is much more reliable if you can see the actual horse. I have a lot of pictures of both sides, since he was being set up in the one part of the horse park that has really good lighting. I will be away for a week in Boise, but I will post more when I return. Given that tobianos in the UK almost invariably have white face markings, I’ve always been nonplussed by US researchers insistence that tobiano *doesn’t* cause white on the face…. The tobiano in the top picture obviously has splash as well. I think the problem isn’t that tobiano causes white markings, but other white patterns that happen with tobiano are not correctly identified. He is not an example of a suspected pure tobiano, though. He is an example of why the situation is muddied if what you are looking at are tobianos in breeds that have both ordinary markings and other white patterns like sabino. In the United States, that’s pretty much true of most tobianos. But there are a few breeding populations – primarily primitive pony breeds – where ordinary markings are absent (or in some cases, really rare). It is the situation regarding face markings on tobianos in those breeds that has raised the questions. I would also add that the people who have noted this, myself included, were all researching the splashed pattern (SW1). Obviously anyone can incorrectly identify a pattern, especially when there are still so many patterns without actual tests. But in each case, the research lead to independent conclusions that SW1 was incompletely dominant, which is now supported by test results. We each also noted this situation with the tobianos. Like I said in the post, this was not a theory I held at the start (“tobianos sometimes have white on the face”), but a theory that came up short (“these tobianos with white on the face are splashes). It is interesting, the 3 Tobianos (all paint crosses) at the barn I board at all have face markings: A large star, a blaze and a wide snip type thing. I assumed some sort of Sabino for each of them, perhaps it is just because of Tobiano itself. I think there is also a chance of some lines of tobiano having mutations of sabino or other KIT cause facial markings linked together. That way tobiano and the face markings would pass on together nearly every time. Especially since KIT is so notorious for pattern mutations. I just wanted to say I agree with this. Researchers have been saying it for years but die harders have refused to believe it. I was a die harder at one time but over the last couple of years have really come to believe it does happen. According to the researcher who found the tobiano inversion it does cause face white (and she even says blue eyes, but this was prior to splash test availability) and the white (and eyes) appears to be more significant in homozygotes. That is certainly consistent with what I have observed in homozygous tobianos. We have a number of blue eyed homozygous tobianos that have tested negative for the other pinto genes. They may have a gene we cannot test for at this time, or we will have to conclude that tobianos can have facial white and / or blue eyes. I’m not sure that I buy it. 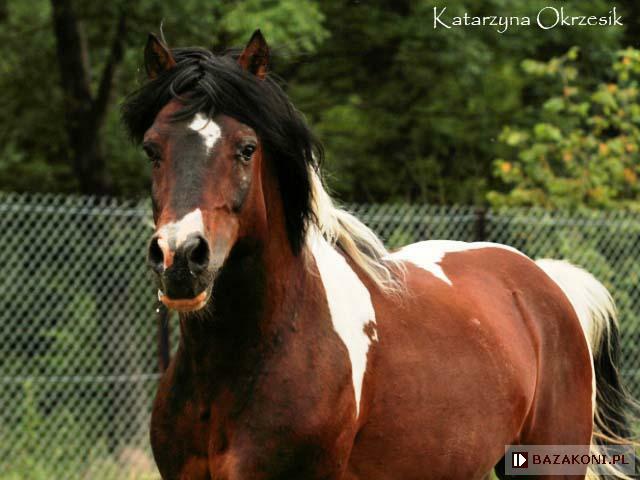 The Polish writer is suggesting that in the Huzul pony, there is a chunk of DNA in the genepool that has both the tobiano inversion of KIT PLUS a SNP (presumably) permitting white markings, and that due to their proximity on the chromosome (both involving KIT! ), they are passed on together or not at all. I would suggest that it is very likely that due to the proximity of the tobiano inversion of KIT and the KIT gene itself, there would be families that were known for tobiano + white markings and families known for tobiano – white markings. This “gene linkage” is very basic genetics, and has been taught in high school biology classes for more than 15 years. 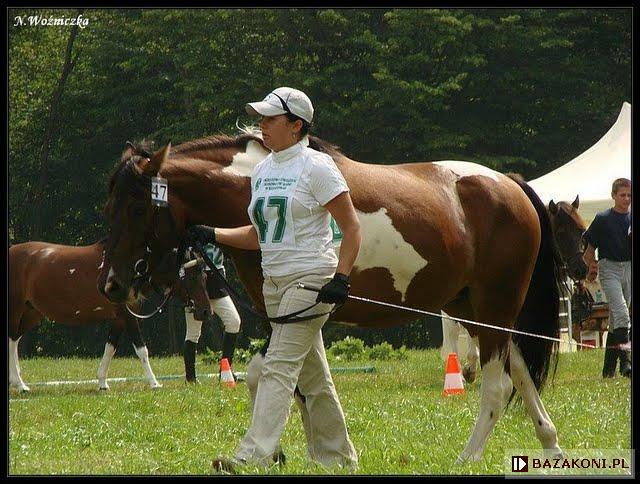 So in the case of the Huzul pony, I would say that tobiano and white markings are associated with each other, not that tobiano is overtly causing the white markings. For that matter, I don’t buy that “the gene” for white markings is some single, identifiable recessive allele. The migration of melanoblasts is a complex process; there are many ways to delay it enough to cause white markings. I expect that we will learn that any number of small SNPs of KIT and other related genes can cause white markings alone or in concert with one another. That latter point would account for an apparently “recessive” mode of inheritance. The papers that I have read on markings do not seem to assert that it is a single gene, but do suggest that there is a large effect gene as well as small effect genes involved. I would be very interested to hear your take on the Franches-Montagne paper, since it is the most current on that topic. And I would love for someone to do the research to see if what myself and others have observed with some tobianos is due to linkage or tobiano itself. As much as I might like to know which it is, for the purposes of most breeders, if that linkage is strong then the end result is the same no matter the molecular cause: tobianos may or may not have white on the face, and that white is unlikely to appear on their solid offspring. It also would mean that automatically assuming white on the face of a tobiano means another pattern (sabino, frame or splash) is present would be mistaken. I know that molecular findings often have broader implications, but that is the practical application for horse people. Let me pose the tobiano question this way. Which follows? b. 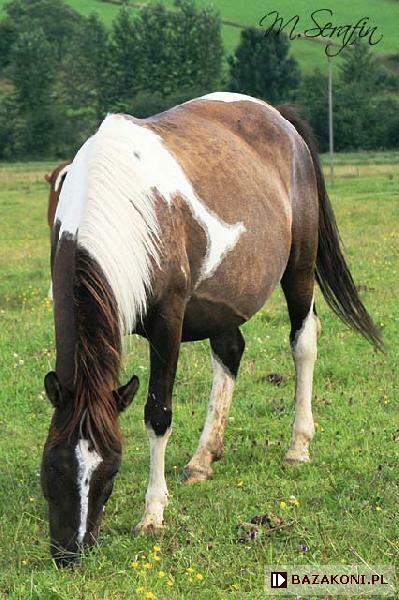 Some horses with tobiano do not have white face markings, therefore white face markings are not a characteristic of tobiano. I agree that the practical applications for horse people often differ from what we’d just like to know because we’re curious. 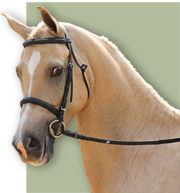 However, in this case, the important take-away for the breeder is that in individual horses, the presence or absence of white face markings (and the presence or absence of black in the coat, for that matter!) and the tobiano pattern are linked, but that linkage is important on an INDIVIDUAL basis and one cannot extrapolate outside of the individual or at least his family. 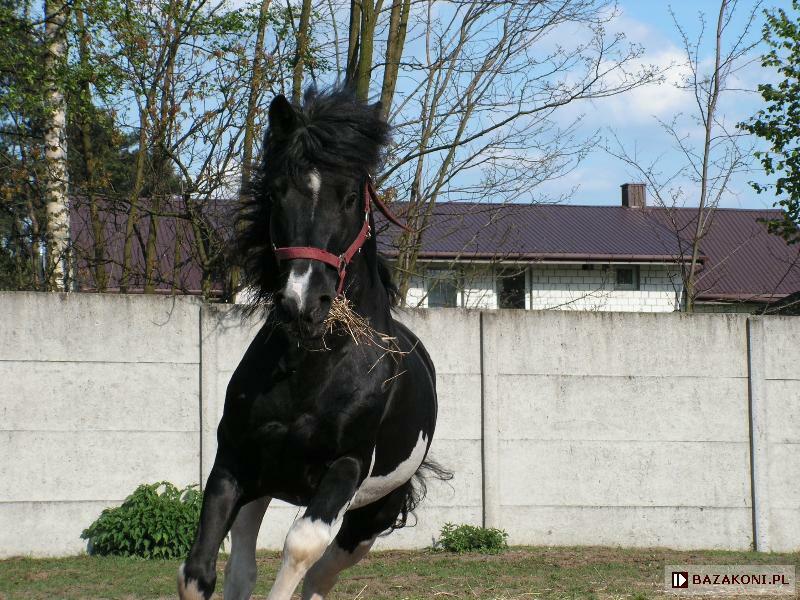 For example, if we have a black heterozygous tobiano with a recessive red allele at the extension locus, it is important for breeders to know whether his tobiano allele is on the same chromosome as the red allele or the non-red allele. We can look to Art Deco in this case, whose tobiano allele was on the same chromosome as his dominant non-red allele, and thus sired black-based tobianos and solid chestnuts, and only one or two chestnut tobianos, who had tobiano mothers. As far as studies of the Franches Montagnes horses with white-causing KIT mutations goes. My take on “Haematological parameters are normal in dominant white Franches–Montagnes horses carrying a KIT mutation” is that this is important information, and I’m glad they studied it. It does not mean that any novel mutation of KIT may be considered “safe”, but it may turn out that horses do not use KIT in the development of their blood cells. My take on “Allelic Heterogeneity at the Equine KIT Locus in Dominant White (W) Horses” is that this is also important information, but that because of where genetics education stops in public schools, it is less accessible to the average horse person. This allelic heterogeneity is important in the study and treatment of cystic fibrosis in humans. Actually, I’m sure it’s important in many genetic diseases, but CF is what I think of. Our understanding of how a mutation affects phenotype can only go as far as our understanding of how the body uses the protein that is encoded by the gene. I don’t think I can do the topic justice here, but maybe you can. I am missing something about how a tobiano allele can be on one chromosome or another? 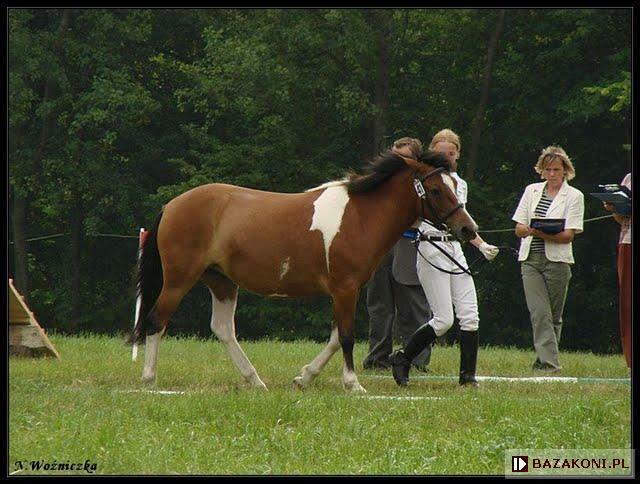 In theory then could Art Decos tobiano have been on the chestnut allele? What is an allele in relation to a gene? I thought an allele was just part of a gene, how can it jump from one color to another?